Every new iteration of this Mitsubish favorite is better and better. As is the case with the 2016 Outlander Sport GT, equipped with Mitsubishiâ€™s 2.4-liter 4-cylinder engine. Interior features and quality have improved, although, somewhat dated, and the standard three-row seating fits family needs; although one has to be agile and/or small to access it. Optional advanced safety technologies are also available to make Outlander compatible with its many rivals in the SUV marketplace. 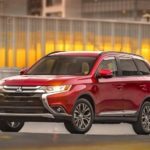 It remains to be seen what happens next for Mitsubishi after a recent statement that at Mitsubishi Motors in Tokyo employees allegedly improperly manipulated fuel-economy data to inflate mileage results on at least 625,000 vehicles. The company also said it had violated Japanese law by deploying an improper fuel-economy testing method in some vehicles in Japan since 2002. It remains unclear at this time whether this affected fuel-economy information was provided to customers. An investigation will follow. New for 2016 is the revised exterior styling-which is handsome, and standard LED headlights for the GT trim level. A revised navigation interface and more user-friendly folding arrangement in the second-row seating. Also new this year is a SEL midgrade trim level offering. Cons? They all have them and the Outlander is no exception. Performance is wanting, and if one wants higher level features, he/she must opt for the GT Model. We could not warm up to the Rockford-Fosgate sound system. In spite of its 710-watt premium sound system with 9 speakers, the sound was good but not so the operation of the radio choices. This writer could not get the menu right so wasnâ€™t able to determine song titles or performers. A minor point you might think, but it drove us crazy. We also could not locate the nav system, so assumed there wasnâ€™t one; hard to believe in a GT trim level. However, Mitsubishi gets credit for staying in the marketplace. Many times, the threat to leave the U.S. market looms. After just two years on the market, the Outlander received an upgrade and redesign; commendable. Considering the Outlander from a distance is favorable; itâ€™s a good looking little SUV. Our test vehicle was the GT version, with the 2.4-liter, 4-cylinder engine. If under serious consideration, we would most likely opt for the 6-cylinder. According to Mitsubishi, they also made improvements to the ride and handling, both which arenâ€™t bad, but not A-plus. We found the car wandering on highway drives and felt as though it was a lightweight. The ride is quiet and smooth, and the car easy to handle, however, there is some road noise. A seven-passenger SUV, the Outlander is available in four different levels: ES, SE, SEL and GT. The V-6 engine is only available in the GT, as is AWD. Mitsubishi offers a lengthy warranty, standard third-row seating and many standard features. 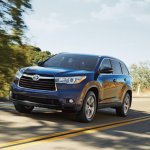 Rival crossovers include the Mazda CX-5, Honda CR-V, Subaru Forester (standard AWD) and Kia Sorento. Itâ€™s hard to make headway in the Honda or Subaru market these days; both the CR-V and Forester and Outback are widely popular. The Nissan Rogue also offers a third-row in the same price range. The ES comes standard with 18-inch alloy wheels, LED running lights and taillights, heated mirrors, rear privacy glass, full power accessories, cruise control, automatic climate control, tilt-and-telescoping leather-wrapped steering wheel, height-adjustable driver seat, 60/40-split folding second-row seat that slides and reclines, 50/50-split third-row seat, Mitsubishi’s “Fuse” voice-command system (for phone and audio controls), Bluetooth phone and audio connectivity and a six-speaker sound system with CD player (becoming more rare), and USB port. The SE adds foglights, body-color side mirrors with integrated turn signals, keyless ignition and entry, a color trip computer, dual-zone automatic climate control, heated front seats, a rearview camera and an upgraded audio system with a 6.1-inch touchscreen display and HD radio. Added to the SEL are black roof rails, gloss-black interior trim, leather upholstery and a power driver seat. Many options are also available. Power folding mirrors are also included in two different packages, and our GT test vehicle came equipped with them. This is a great feature and another peace-of-mind invention. When opting for the SEL Touring package, one gets a 7-inch touchscreen with nav., upgraded. Pricing for the Outlander ranges from $22,95-$30,995. The GT comes standard with most options except the touchscreen navigation system and the advanced safety technologies (adaptive cruise control, forward collision mitigation and lane-departure warning), all of which are included in the optional GT Touring package. Exclusive standard features on the GT include LED headlights, silver roof rails, chrome exterior beltline accents, shift paddles and an auto-dimming rearview mirror. The 2016 Mitsubishi Outlander is offered with two available engines. 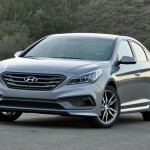 The ES, SE and SEL get a 2.4-liter four-cylinder engine that generates 166 horsepower and 162 pound-feet of torque that is paired with a continuously variable automatic transmission (CVT). ES models are front-wheel-drive only, while the SE and SEL can be had with either front- or all-wheel drive. In Edmunds performance testing, an all-wheel-drive SEL accelerated to 60 mph in 9.2 seconds, a slower time than many rivals. Not sure why our test GT vehicle came equipped with the standard 2.4-liter four-cylinder engine and not the 3.0-liter V6. As said earlier, the six would be a big improvement. Our test vehicle was the six-speed automatic with shift paddles, and standard AWD. Standard safety features on the 2016 Mitsubishi Outlander are comparable to other vehicles in this price range and include antilock disc brakes, traction/stability control, hill-start assist, driver knee airbag, side curtain airbags-first/second row, and front-seat side airbags. 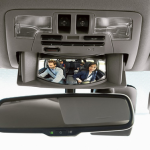 Consumers can opt for electronic safety features including lane-departure warning and forward collision mitigation. The Outlander is in general an agreeable crossover. Where there isnâ€™t anything to really dislike about it, there isnâ€™t anything that makes it special. But then, that goes with the territory. How can any manufacturer compete in todayâ€™s over-crowded SUV category. EPA fuel economy: 24/29 mpg. Warranty: 10 yr/100,000-mile powertrain; 7 yr/100,000-mile corrosive perforation; 5 yr/60,000-mile new vehicle limited; 5 yr/unlimited roadside assistance. After driving the 4-Runner 4×4 TRD Pro for the good part of a week, we finally discovered the rear wiper. It was hard to imagine there wouldnâ€™t be one; the stalk indicated there was one. Perhaps it had something to do with the rear window, which operates from the console with an up/down switch. After accidentally lowering the rear window, the wiper appeared?? The 2016 Toyota 4Runner TRD Pro is a tough-looking SUV, large at over 4,000 pounds, riding high. Who is this particular package is aimed at? Seriously off-roaders who prefer to do it in a SUV rather than a truck, of course. We couldnâ€™t help think the 4Runner TRD edition seemed dated. A â€œthrowbackâ€ of sorts, this cumbersome SUV, does, believe it or not, appeal to some consumers. One can trace the evolution and popularity of the sport-utility-vehicle: from trucks to weekend get-away transportation, to ever-popular sport utes. Not a vehicle for the â€˜commonâ€™ crowd, the 4Runner TRD performs best, weâ€™re sure, out West, traversing dunes, back roads and off-road trails. Needless to say, this isnâ€™t terrain this writer covered while driving the 4Runner TRD. We did however drive it through Chicago snow and ice. We could imagine the 4Runner TRD going on and on, just about forever, never needing much in the way of upkeep, ever faithful. Not a daily driver, this â€˜truck-likeâ€™ SUV willing to perform for those outdoor types, yet resting during the week. And, thatâ€™s the way most would prefer to use it. Although one could drive the 4Runner TRD every day, as we did, there are many other vehicles that more closely fit the bill, providing more refinement and comfort. The 4Runner TRD version is almost sinister looking and a little retro (think: the Toyota emblem up front). Kind of silly, but kind of cool looking with its black wheels. Our test vehicle in â€œAttitude Black Metallicâ€ came with black interior, as well as the TRD stamped aluminum front skid plates, TRD shift knob, TRD Pro floor mats and â€œTOYOTAâ€ front grille with badging. Although equipped with the latest brake technology (EBD, Brake Assist, Smart Stop Technology, Crawl Control), we discovered the 4Runner doing some creeping forward when stopped at lights. Without realizing it, we ended up right on the bumper of the car ahead of us. Didnâ€™t sense it. More foot power seemed to be needed when braking the 4Runner TRD. Other available trim levels in the 4Runner include SRS, Trail and Limited. With most fleet vehicles, a road-test is what takes place, while writers play with new technology, think about ride/feel and what makes a particular vehicle stand out. With a vehicle like the 4Runner TRD, an off-road test would be in order. Which may mean setting aside a day or two to drive; and of course, to locate the terrain that shows off the vehicleâ€™s attributes. Utilizing such features as the 4Runnerâ€™s transfer case to shift into low range gear isnâ€™t something this writer experimented with on Chicago road surfaces. Nevertheless, we enjoyed driving the 4runner TRD and appreciated some of the â€˜normalâ€™ vehicle attributes, such as Keyless entry, safety equipment, AM/FM/CD 6.1 inch /Navigation/App Suite/ Bluetooth, heated front seats. Fuel tank capacity: 23 gal. This is one Lexus product we donâ€™t mind driving whenever itâ€™s available. Probably our favorite Lexus product, the IS2005 is way fun. Sounds silly, I know, but with so many vehicles available today, the differences in them begin to disappear. 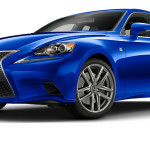 Especially partial to performance vehicles, Lexus doesnâ€™t necessarily fit this category. But the IS200t drives and acts a little like a performance car, and we welcome that. Revamped in 2014, the IS took on a little bit of an edgy look, resembling Lexusâ€™ NX trim versions. Itâ€™s about time, we thought. While this sedan is not large by any stretch of the imagination, it is agile, and fun to drive. 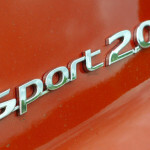 In the entry-level IS 250, Toyota plunked the 2.5-liter V6 engine. Adding a turbo engine and/or the 3.5-liter V6, coupled with Lexusâ€™ F-Sport package, made the IS a real contender. Handling was much improved, and the carâ€™s all-around feel felt, well, less Lexus-like. The new powerplant in the IS is now a 2.0-liter twin-scroll Turbocharged inline 4-cylinder with VVT and 241 horse. Our test vehicle, although carrying a near-luxury price tag of $37,325 quickly become a lot more pricey once a few â€˜specialâ€™ options were added. Our test IS 200t came equipped with a lot of standard features, as expected, and an added couple of options: Blind Spot Monitor cross-traffic alert heated outside mirror ($600), F-Sport package ($3,545), Navigation system/Mark Levinson Audio System, 5.1 surround 17-speakers, 835 watts, remote touch interface, Lexus Enform Destinations, App Suite, Voice Command, Lexus Insider, Electrochromic auto–dimming rearview mirror ($2,645), Dynamic Radar Cruise Control w/Pre-collision System ($500), Preium Paint ($595), F-Sport perforated leather heated steering wheel with paddle shifters ($150). Yikes. Hard to give up a few of these goodies; namely, the Mark Levinson stereo. We had so much fun throwing in sound tracks form The Imitation Game and The Danish Girl, and ramping up the volume. The F-Sport package, in this writerâ€™s opinion, is also a must. So be ready to shell out some big bucks for this compact-ish sedan. 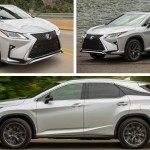 Some may not have warmed up to the new styling out of Lexus; we like it and believe it was time to do something different; read: less bland. Competing with the likes of Mercedes C300, BMW 328i, Infiniti and Acura, the IS 200 may fall somewhat short, but in some ways, weâ€™re talking apples/oranges. The consensus was to definately opt for the special paint: Ultrasonic Blue Mica. At the â€˜premiumâ€™ price of $595, it is a real gift to yourself, but stands out. The IS 200tâ€™s interior isnâ€™t award-winning, but comfortable. This is a tight fitting cabin, however. It somehow feels good as the driver has the feeling of being â€˜tucked in.â€™ Not a lot of room for movement, however. Stats state seating is 2/3! There is a regular rear seat, but not recommended for long trips. Now that we are accustomed to the â€˜joystickâ€™ that navigates your display, audio, we kind of like it. There are, of course, various versions of these controls throughout autoland. Some better than others. EPA fuel economy: 22/33 mpg.